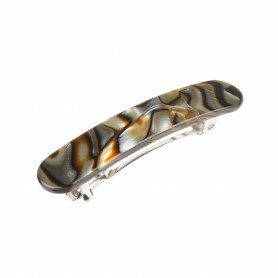 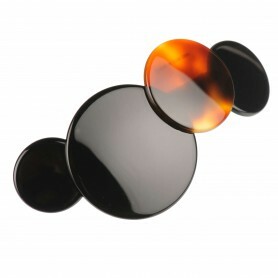 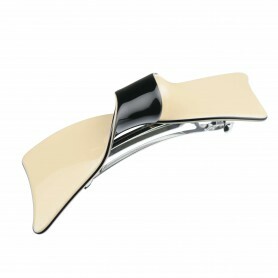 Our luxurious hair clip with its subtle beige and black color combination is bound to be your favorite. 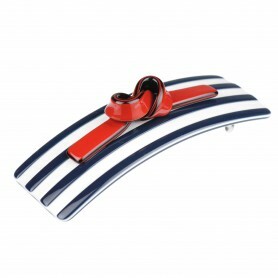 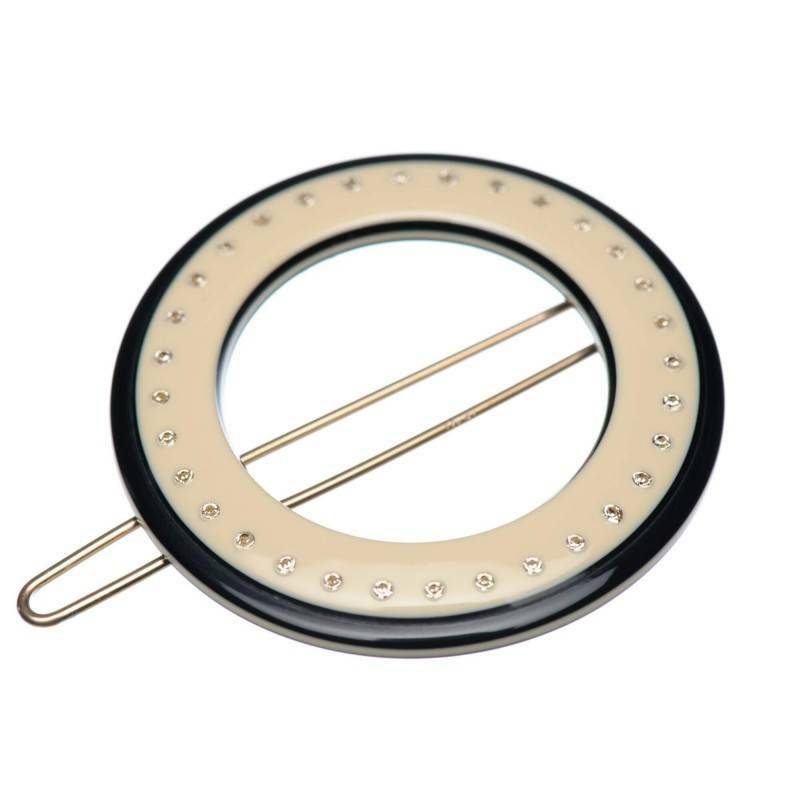 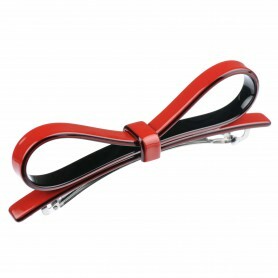 Lovely circle shaped hair clip will add exquisite elegance to your style. 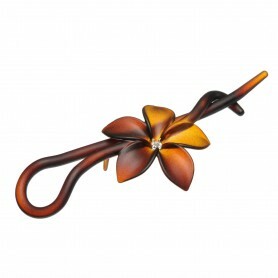 Handmade in Lithuania this hair clip combines shiny finish and the original Swarovski crystals.